Introducing the 1st Automatically Deploying Watertight Roller Curtain Door in the US! The AutoSeal Watertight Roller Curtain Door is the latest technology in flood protection. 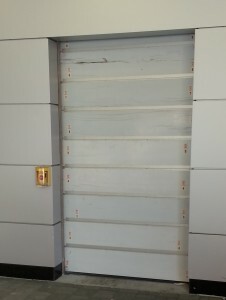 During normal non-flooding operation, it functions as an overhead roller curtain door. Once water is sensed by the controls at a pre-determined level, it automatically deploys and secures the opening. Alternately, a press of the button sets the door in the flood protection mode. 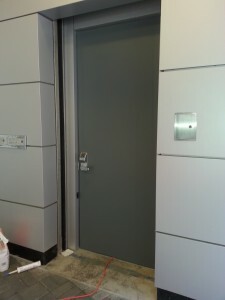 The door is constructed from aluminum roller curtain door slates with a stainless steel frame and a flush bottom sill. It is provided with a battery back-up for operation when power is lost. Like most standard garage doors, it has an infrared start/stop sensor to avoid closing when an object is in the way. 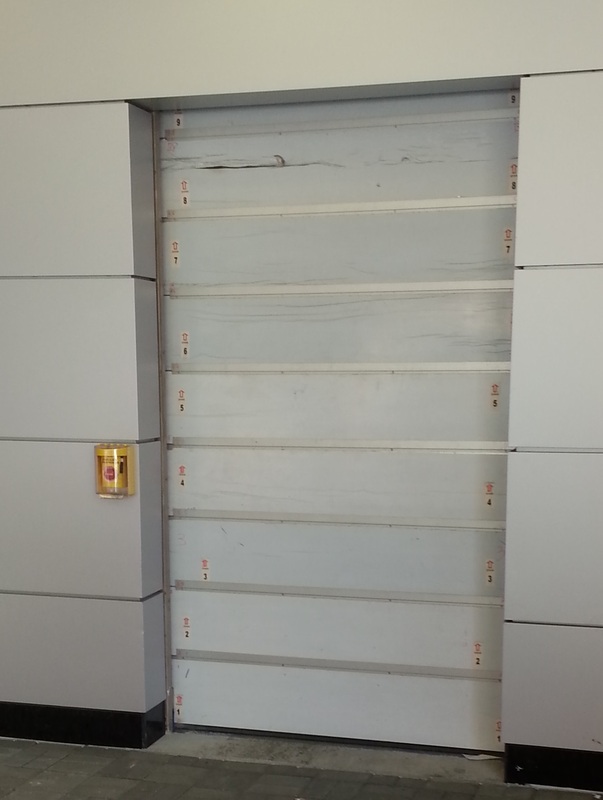 Applications include warehouses, entrance doors, storefronts, garage doors, parking lots, etc. Operating Mechanism Mounted in chassis above door.